Magic Cookies is a mod that expands on the adventure of Thaumcraft 4. I'm not really sure where this mod will lead too eventually but until then it adds some new challenges for you adventurers to explore, for builders some nice blocks and for tinkerers some nice new tools and for alchemists some yummy cookies. In the image below you can see a quick summary of the main features of the mod. There aren't that many items or blocks, but they all have their own special things. Golems... They have evolved! One has grown at peace with his inner self. Focusing on the higher wisdoms of life instead of labor. Another has grown fondly attached to you... some would say overly attached... and one... we shall not speak of the void golem... he creeps me out. Shears of the shepherd, for when you want to take your pets flying in your thaumostatic harness. Grog... drink it, meet your drinking buddies, speak slurred language(the slurred language doesn't work on cauldron :( let me know if there are vanilla forge servers where it doesn't work either.) become drunk and hear and see things. Grog is great! Golden bars, emerald studded bars, void bars, thaumium bars... you can finally have that creepy or luxurious look you always wanted. There are rumors of a big entropy temple in the nether where you can walk in hallways and get lost in them... but those who presevere will find the fabled dechanting table... Be warned though... it will not come easely with you, and to those who use it... it does not take experience to use it... it takes your lifes blood and makes you repulsive. This is only for wise thaumaturges. Your gain a green thumb when you eat a herba cookie... all those blasted weeds sprouting up all over the place! Special thanks go to Yanadi who has supported me in the creation of this mod and stood by me patiently whilst I coded this instead of demanding me to be more husband like. Thanks to all the people on The Thaumcraft server for suffering the not so perfect earlier versions. Feel free to use this in a modpack that is free, but please notify me if you include this in a modpack, i'm curious like that :-). Don't charge for this mod or include it in a paid modpack without explicit consent. © Tschallacka 2015 This mod (plugin, patch to Minecraft source, henceforth "Mod" or "The Mod"), by the terms of http://minecraft.net/terms are sole property of the Mod author (Tschallacka, henceforth "Owner" or "The Owner"). By default it may only be distributed on minecraftforums.net or thaumcraft.duckdns.org by the Owner. They may only be mirrored or reposted with advance written permission of the Owner. URL shorteners or other attempts to make money off The Owner's Mods are strictly forbidden without advance written permission. This mod isn't open source. Hi, I use this mod in my modpack! Thank you very much for making! Hello! I'm using Magic Cookies in my private Nerdcraft modpack! Thank you for making such a wonderful mod! er, i mean, what useful and ingenuity. i sure am upset that you have to kill a puppy, yessiree! just wanted to let you know that we're going to use your mod Magic Cookies in our Pack, called "Thaumic Skies"
Hi Tschallacka, Just so you know i'm using your mod Magic Cookies in a modpack i'm making with a friend called Echo. Thanks! Crashes on startup. It says Thaumcraft errored, not this mod, but this causes it. You appear to have overlapped two of your own researches, making one unavailable. Acid-Etched Iron and Thaumium Shears. I'd just like to point out that "Barier" should be "Barrier"
Also why did you add your own versions of every golem core and upgrade? They are not obtainable ingame. And I have my reasons. That Nei makes them available doesn't mean they are obtainable. 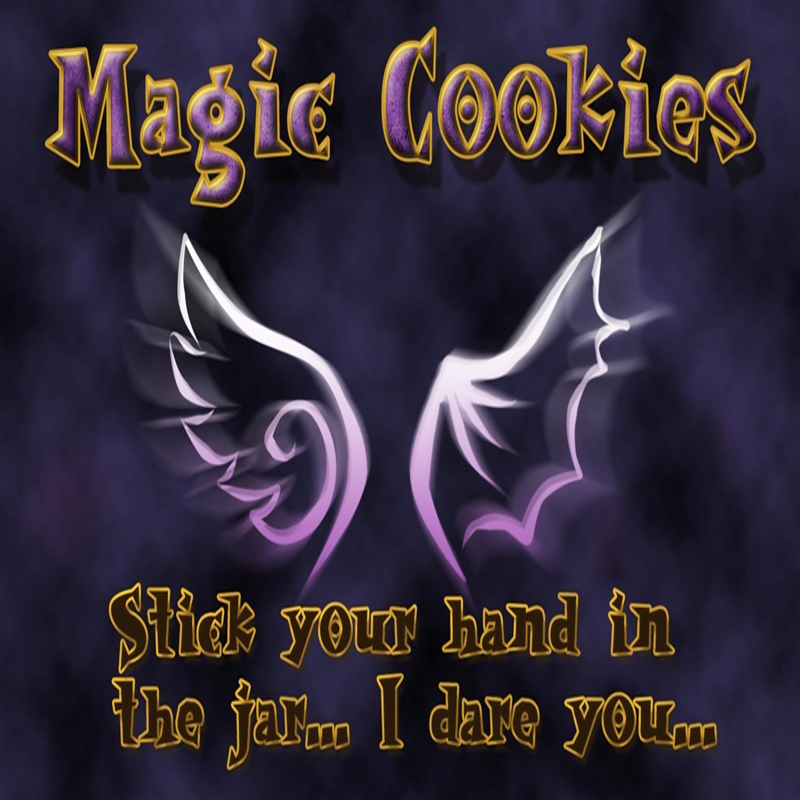 Sometimes you make things with the intention "for future use", but they are not abtainable ingame with a reason, because they are not needed, but removing the code would have spoiled future plans I had for magic cookies, so I made them unobtainable. There might be even a few more things that are unobtainable ingame, but obtainable via nei. And thanks for the pointing out the spelling mistake. Hay I don't wont to pressure you but i was wondering if u could give me a guesstimate on 1.8 release? This mod is horribly underrated. I just love the Master's One Ring! I'm breaking ground for the 1.8 thing now. And honestly, I havent advertised this mod in any way, so that it accrued the downloads it already has suprises me greatly. I'm doing a video series in which I explain different things about the 1.7.10 version and i'll do the same for the 1.8 version when I finish it. I'm doing my best to put out 1/2 videos a week to cover all topics possible :-) to show the hidden tips and stricks and stuff like that. This is a great mod, but the golems need more description (strenght, speed...) and the textures of the rings need some work, they are not pixelized enough. Apart from that great mod, keep up the good work. How about no, and no. The golems have purposely no descriptions. It's up to thevthaumaturge to discover their unique properties. They have some very good properties that sets them themapart from regular golems. The rings are good as they are. Sorry if I was rude, I was just saing what I would like to be done, not what should be done. reporting a bug with golden golems research. it simply cannot be done. theres no way to connect sensus to anything else due to no spaces. Uhm, you can blame thaumcraft for that o_O I only supply aspects and difficulty. Thaumcraft then calculates the paper you see. What happens if you toss this one and request a fresh research paper? But this belongs on the thaumcraft bug tracker.